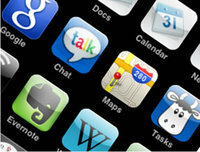 Facebook’s announcement of ‘Facebook Home‘ has the potential to change the smartphone landscape. It has produced a Facebook Phone without the added complication of designing and building hardware. Its potential reach has implications for us all. This is a clever move. In a time where hardware companies are trying to build software (Apple) and software companies are trying to build hardware (Microsoft, Google) we have a company who is aware of who they are. Apple and Google continue to fight for dominance in the enterprise app market and yet Microsoft are still being willed on by a committed developer community. Recent data from Appcelerator has indicated that it may be a two horse race. But which two horses may yet be a surprise to some. 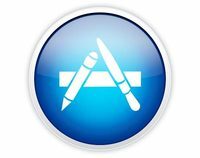 2012 saw the 30 billionth download from the Apple App Store and there are now over 650,000 different apps available to consumers. Apple’s assertion that “There is an app for that” does indeed appear to be correct. This video is adapted from a talk I gave at this years IWMW and explores the context in which an app is the right solution. It also highlights the situations in which other mobile web solutions are the right approach for your organisation and your users. Voted the best talk at this year’s conference, this presentation is a must watch for anybody deciding on their mobile strategy. App findability is a major problem for new app releases. The Holy Grail is to get into the top 25 list on the app store. Unfortunately, to get into that listing, you need to be downloaded 40,000 times a day! It’s time for a new approach. 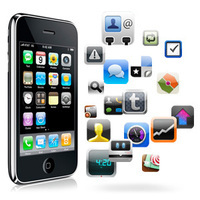 Monetising your apps with IAP. Not as simple as it should be. 65% of revenue in Apple’s App Store comes via in app purchase (IAP). This system is a fantastic way to monetise your apps which provides a slick experience for both the user and the provider. However, it is not as straight forward as you might hope. There are one or two ambiguities to watch out for.